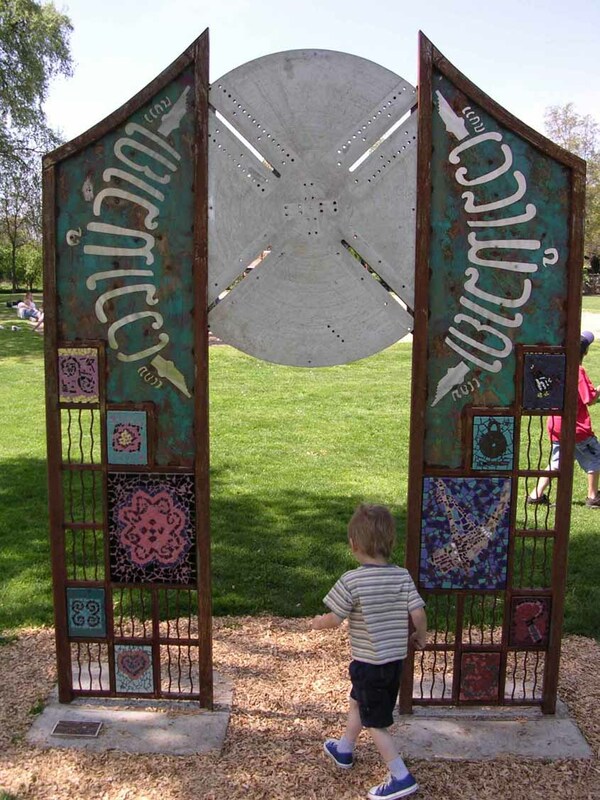 These gates, located in Chico’s 20th Street Park, are part of a community project in which artists helped local residents design and build a permanent public art installation for their neighborhood park. This project consists of four gates representing the cultural diversity of the neighborhood. Layed out in a north, south, east, and west directory, the gates honor cultures from these regions: Native Americans in the north, Africans in the east, the Hmong in the west, and the Aztecs in the south. 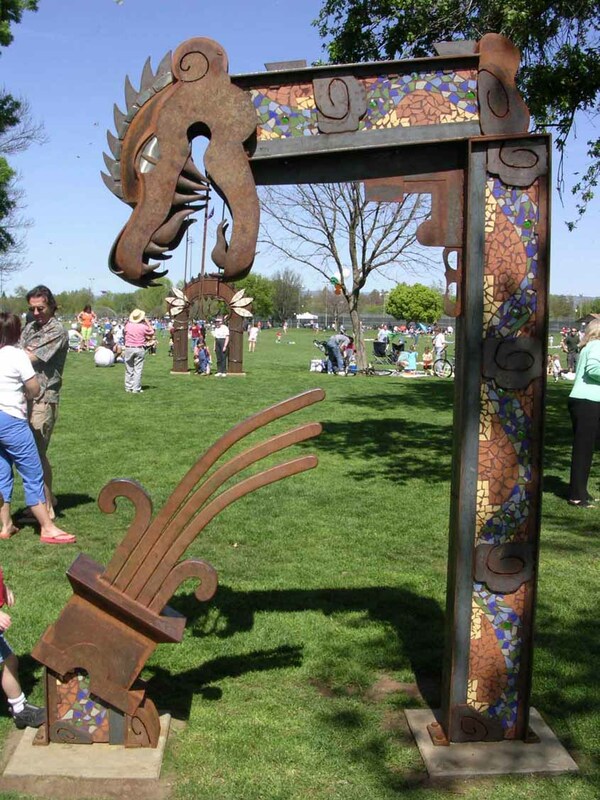 The sculptures were fabricated by local artist David Barta and Stan McKetchen under the direction of lead artist Jenny Hale. I supervised the mosaic portions of the project, teaching participants how to mosaic over several weekend long free public workshops. 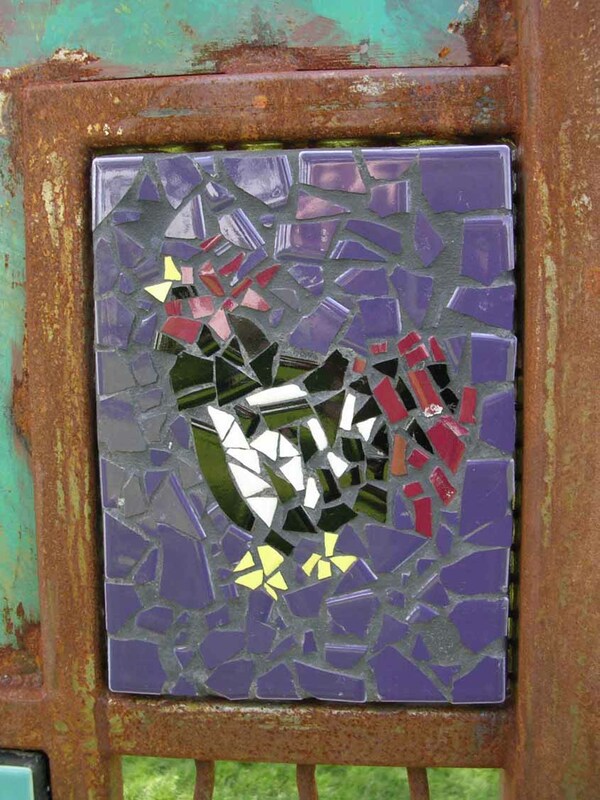 Then I took their completed pieces home to grout and finish for later installation into the metal work. The most complicated of the gates was the Hmong gate in which dozens of small mosaic designs had to be researched and created using tiny and intricate Hmong textiles as the inspiration. I had to broaden the lines a great deal to allow for tile pieces to replace tiny stitches. Also included in the gate were mosaics of the Hmong musical instrument the queej which I found impossible to pronounce despite their leaders greatest efforts to teach me. 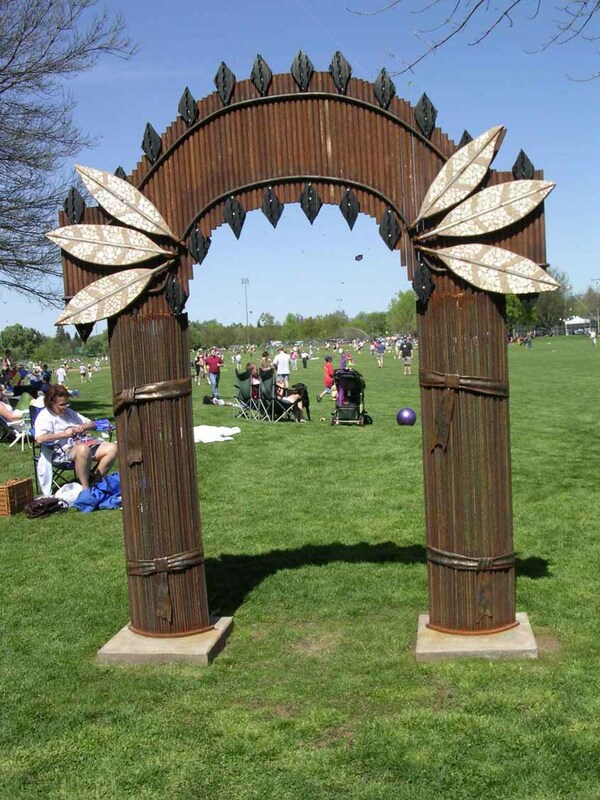 The Ancestor Gates, as they came to be known, were unveiled in the spring of 2003 in 20th Street Community Park.